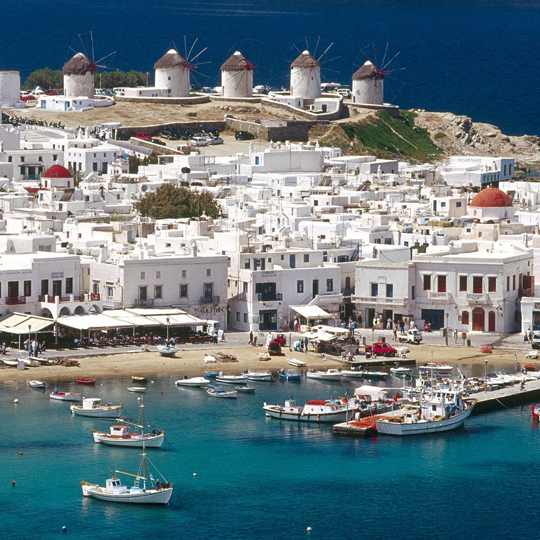 Depart USA to board your International flight to Greece via jet service. 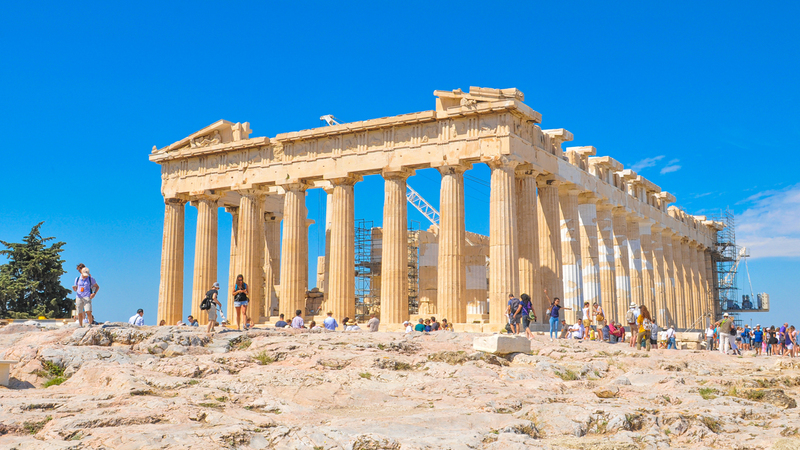 Upon our arrival at the Athens Airport, we are met, assisted with luggage and taken by private, deluxe motor coach to our hotel. 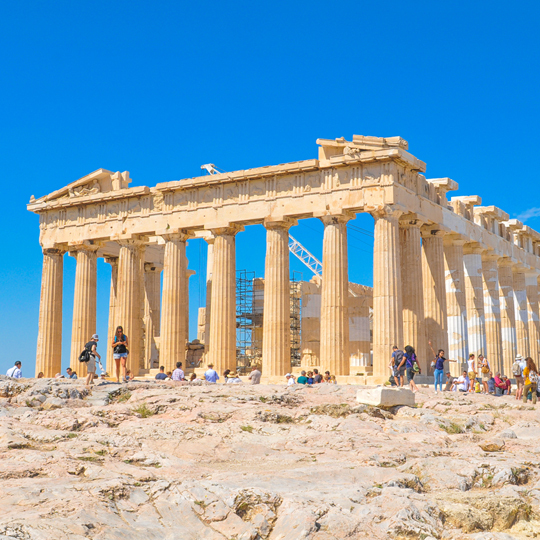 Afternoon sightseeing includes a visit to the world-renowned Acropolis, with the ruins of the Parthenon, Erectheum and the Propylea. Climb Mars Hills; where Paul debated the elders. 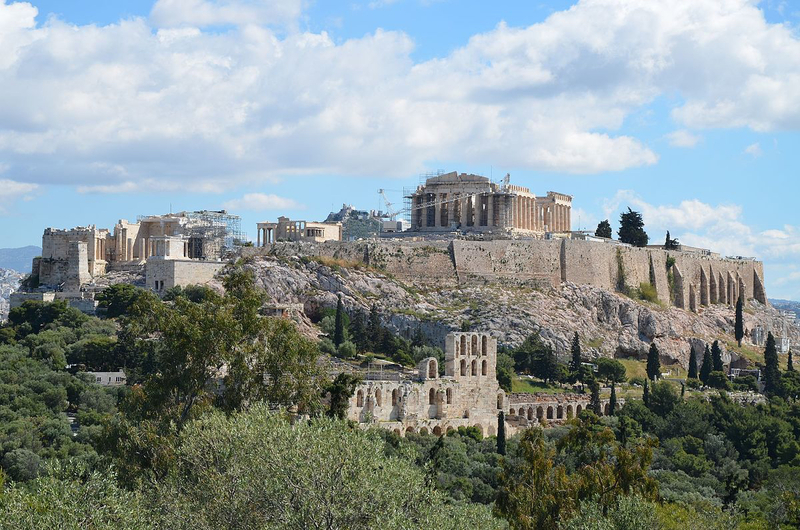 You have a view of the Agora (market place and the center of former Athenian public life). Continue to the House of Parliament, the Tomb of the Unknown Soldier, and the Palace. Dinner and overnight Athens. Breakfast at the hotel. Morning transfer to the Port of Piraeus to embark on our three-night cruise. 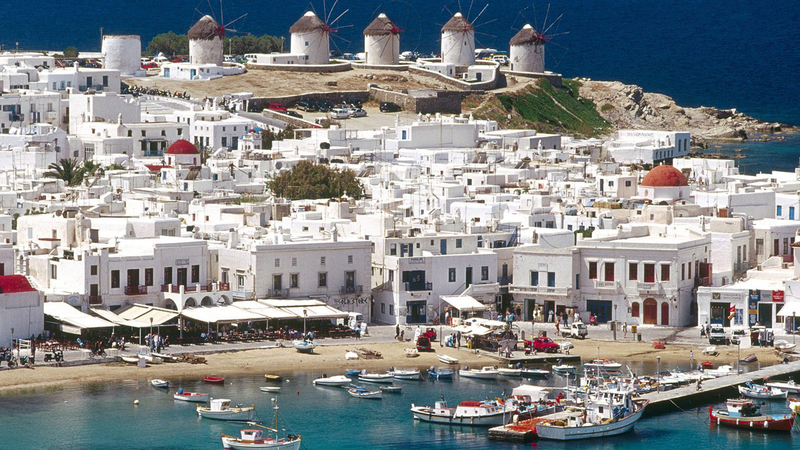 Our first Port of Call is Mykonos. 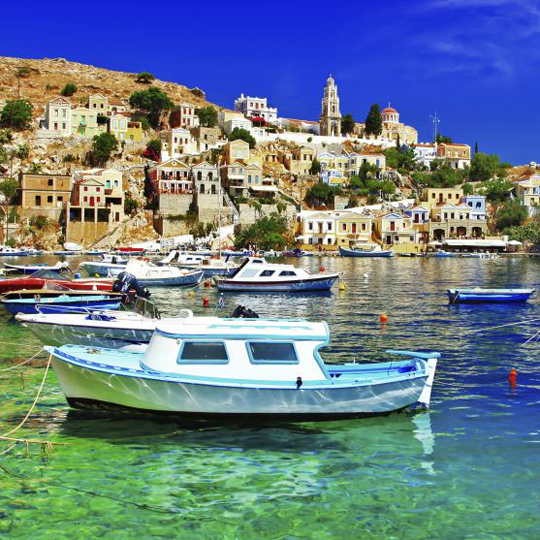 This romantic, whitewashed isle has long been a favorite of pleasure-seeking travelers, partly because of its vivid coloration. Today, alongside its picturesque fishing boats and many churches, we will find fashionable boutiques that rival the Via Veneto in Rome. On your own to explore this island. Return to ship for overnight. The Island of Roses. 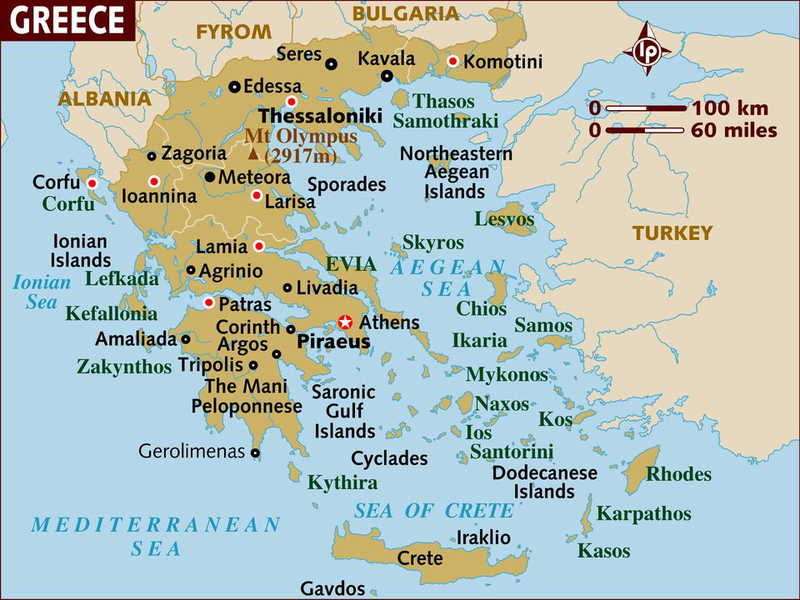 The people of Rhodos maintain that Paul stayed in their city and preached, bringing many people into the faith. 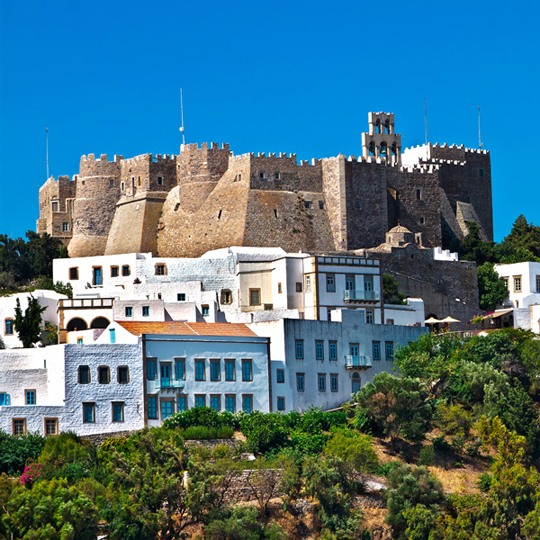 The small Port of Lindos bears the name “St. 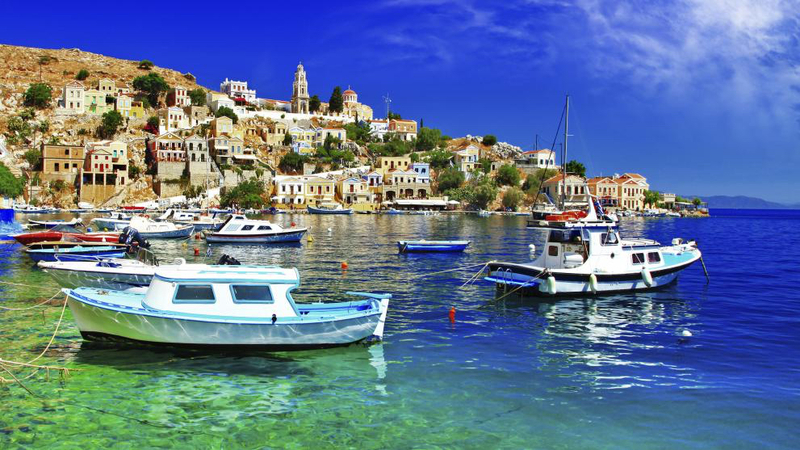 Paul’s Harbor”, commemorating his landing and teachings. On our own for exploration of this island. Return to ship for overnight. We have included this morning an early excursion to Ephesus, where Paul spent many months teaching. We walk past the architectural masterpieces, Magnesian Gate, the Library, and the Amphitheater, where Paul spoke to the Ephesians. 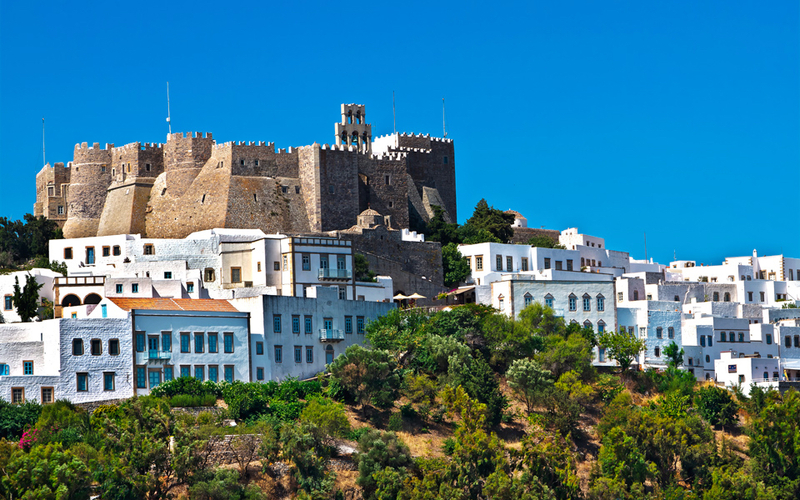 We re-board our ship for a quick sail to Patmos, where John, while in exile, received the Revelation. We include a tour to the cave where he was imprisoned. Return to ship for overnight. 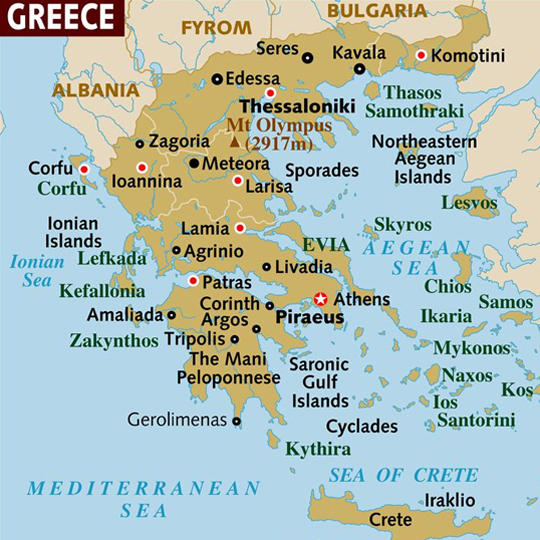 We disembark our ship this morning and drive to ancient Corinth, seeing the Archaeological Museum, the Bema, and the market place and temples. 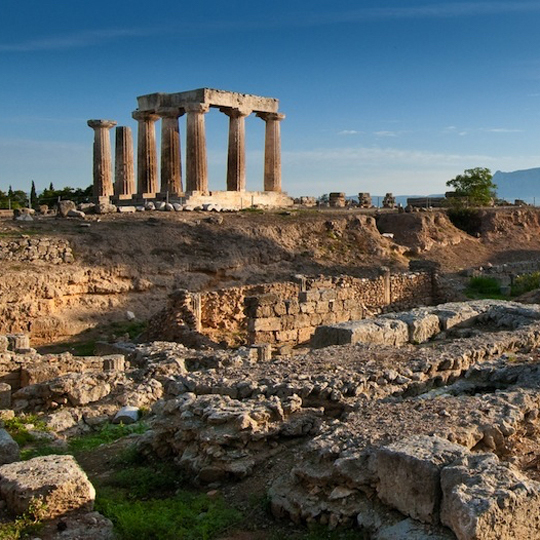 Corinth was home to Paul for 18 months and he taught from atop the Bema about Our Lord. A few minutes are given at the Corinth Canal, which separates Pelopnese from the Greek mainland and connects the two Seas (Ionian and Aegean). Return to Athens for overnight. 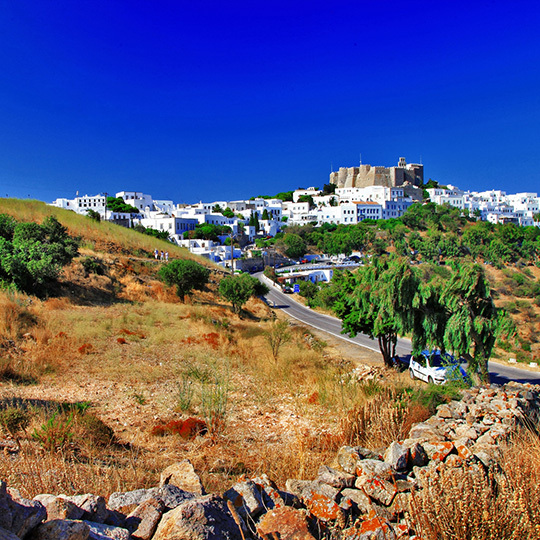 We have a scenic drive through the countryside of Greece seeing its many olive trees. 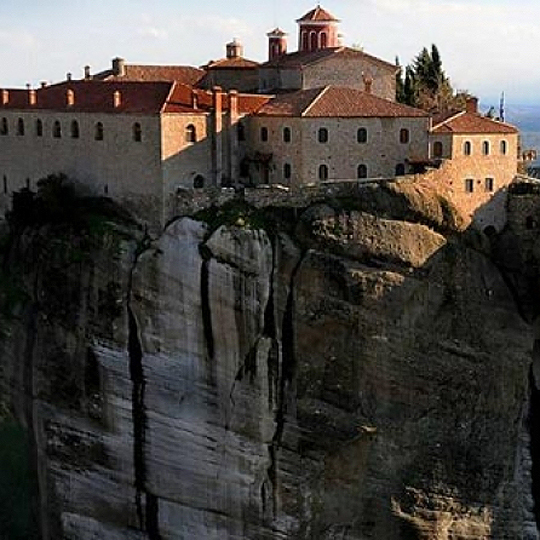 We visit Meteora with its ageless monasteries perched high on rock formations, containing priceless historical and religious treasures. Dinner and overnight Clambake. Scriptures say that Paul came to Thessalonica where there was a synagogue of the Jews and as was his custom, he argued with them from the Scriptures, explaining and proving it was necessary for Christ to suffer and to rise from the dead. Our excursion of Thessalonica includes the Walls, the House of Jason where Paul lived and the Agora, where he preached. Dinner and Overnight Thessalonica. This morning we skirt Lakes Coronial and Volvo into the modern port city of Kavala, ancient Annapolis, where Paul, accompanied by Silas, Luke and Timothy, first set foot in Europe. 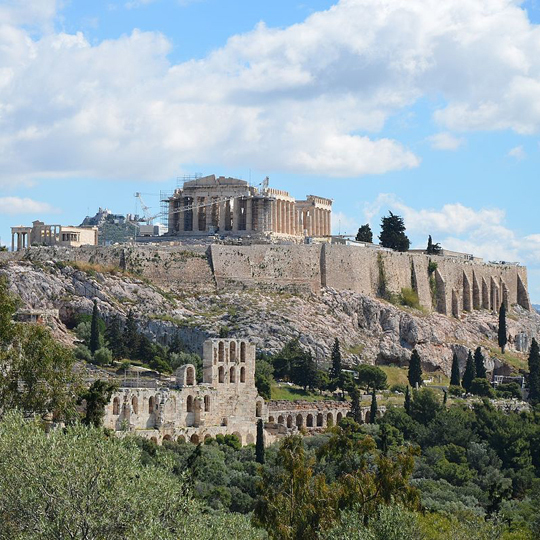 Aside from the great panorama of Kabala, the city has a Byzantine castle, aqueduct and museum containing finds from ancient Amphibolies and Philippi. Follow the Via Agnatic, remnant of Rome’s highway system, viewing Roman and Greek tombstones, and ruts of ancient chariot wheels. North of Kabala is Philippi, where Paul delivered his first sermon in Europe, and sowed the seeds of Christianity. Here, Paul baptized a certain woman named Lydia. The Roman Forum completely excavated was built after Paul’s time. 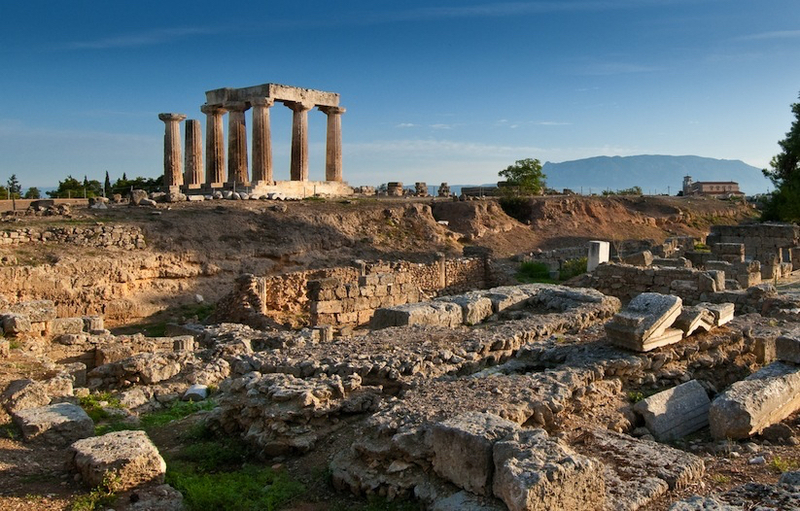 Among the ruins, located on the rocky ledge above the town’s main road, is the “prison” where Paul and Silas were thrown. In the rocks, you will see inscriptions and carved reliefs. It was in Philippi where Octavian and Anthony defeated Brutus and Cassius, last defenders of the Roman Republic (42 B.C.) Return to Thessaloniki for dinner and overnight.